Cumberland, RI USA (January 9, 2017) — Akai Professional, a leading manufacturer of music equipment for performers and producers, is showing their MPC 2.0 at Winter NAMM, the latest version of their acclaimed music production software. Compatible with Mac and PC, MPC 2.0 works either alone as your main DAW or integrates seamlessly with your current DAW as a VST or AU plug-­in. It’s available with Akai Professional’s MPC X, MPC Live, MPC Touch and MPC Studio Black. comprehensive suite of audio editing tools: Pointer, Eraser, Audition, Scissors, Fade In, Fade Out, Reverse, Mute, Pitch Adjust and BPM Adjust. For mixing, users can automate any effect, instrument or mixer parameter. With its advanced signal routing capability—submixes, FX returns, multi-­output plugin support (up to 16 stereo outputs) and more—there is virtually no limit to the versatility on tap for the artist. For performers, MPC 2.0 brings their presentation to the next level. A new Clip Program mode is powered by MPC’s real-­time warping algorithm. 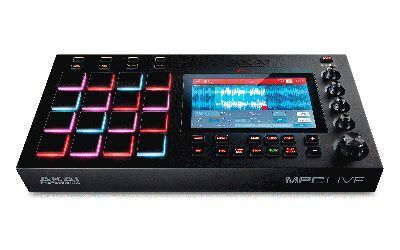 Features like Enhanced Q-­Link functionality for precision control mapping of MPCs editable functions and selectable hardware outputs providing seamless assimilation into multiple usage scenarios make MPC 2.0 a powerful creative tool. drum loop in a clip program or an orchestral phrase loaded into a chromatic sampler program. MPC 2.0 is versatile and adaptable as well. It supports WAV, MP3, AIFF, REX and SND, as well as supporting samples and sequences from any MPC ever made. There is full 64-­bit support in all versions: standalone, VST, AAX and AU. available separately as an update for existing MPC customers at a later date, price TBD.